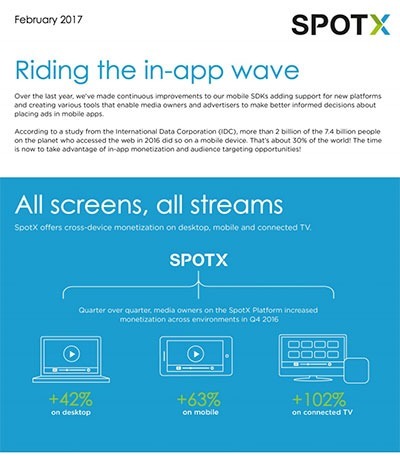 Through SpotX’s partnerships with 65+ premium DSPs, Outside TV was able to access competitive demand and consistent fill month over month. 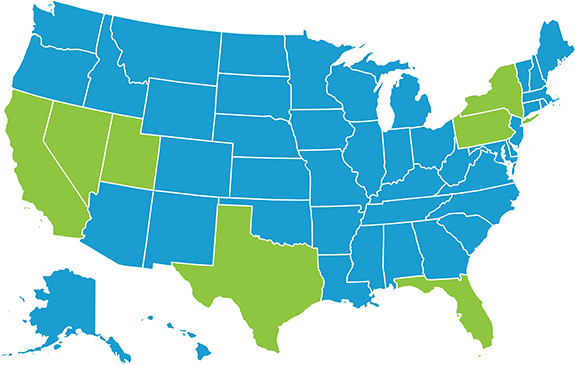 Learn more in our recent case study. 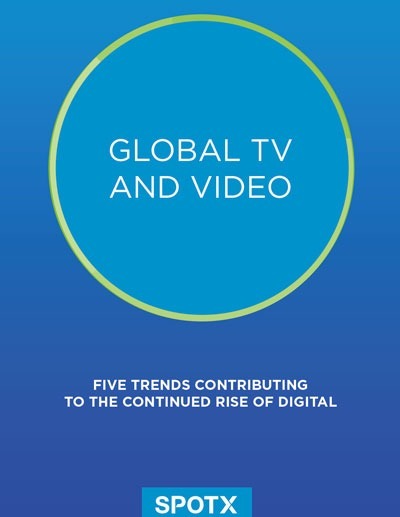 Although television viewership remains strong, consumer viewing habits have shifted dramatically from broadcast and over-the-air video to live and VOD content delivered via over-the-top. 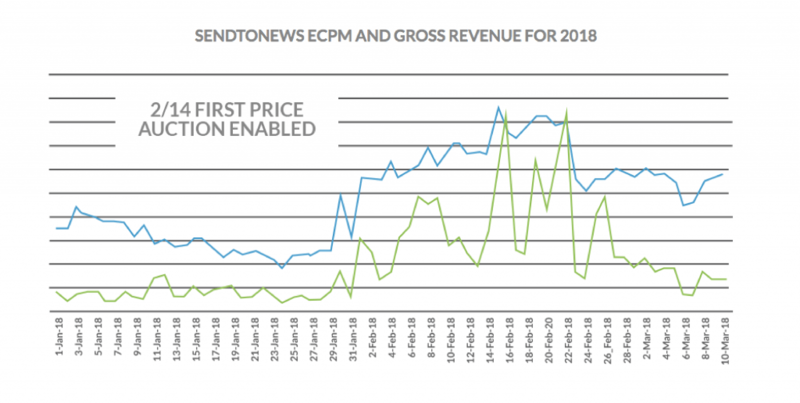 By competing all demand sources simultaneously rather than relying on the traditional waterfall approach to bidding, header bidding delivers maximum revenue to publishers while minimizing latency and maintaining a seamless experience for the end user. 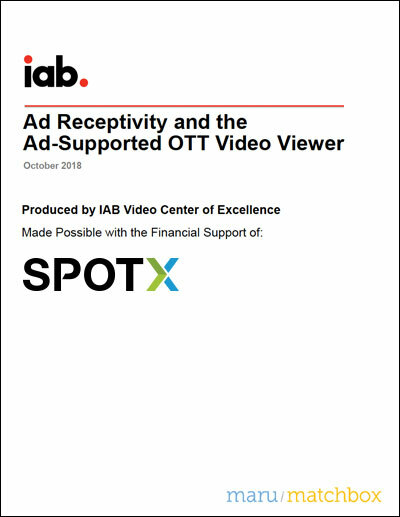 Download the full report by IAB, conducted by Maru/Matchbox and sponsored by SpotX, to enhance your OTT video advertising strategy and learn more about the ad-supported OTT video viewing audience demographics, behaviors, and attitudes toward advertising. 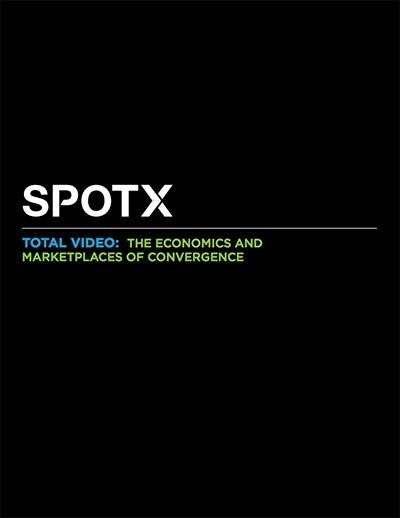 Supply path optimization (SPO) has been a hot topic lately, as brands realize the need to take a more active role to ensure they are buying quality inventory in the most efficient and transparent manner possible. 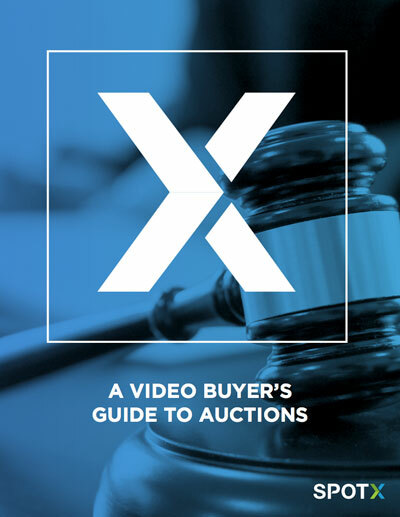 This guide is designed to help brands take these necessary steps to both understand and optimize towards auction dynamics. 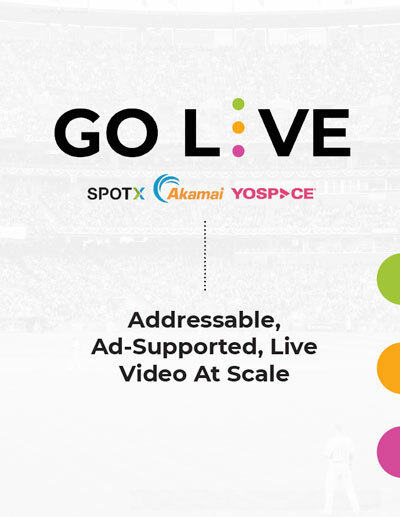 Download your copy of this white paper, created in collaboration with our friends at Yospace and Akamai, to learn how the industry can meet the addressable ad challenge in live video and the emerging technologies that are required for the ad ecosystem to scale. 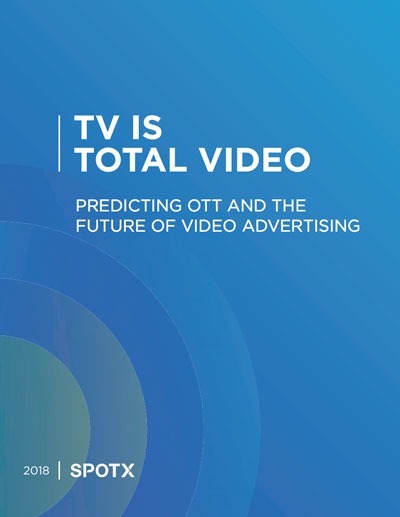 Download your copy to learn about five key trends contributing to and shaping the continued evolution of television and the way we define and consume video. 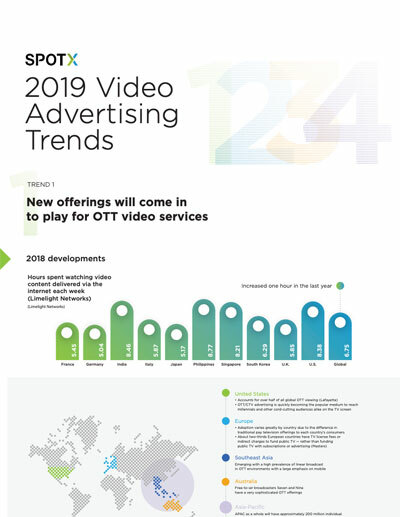 A survey of 41 US-based MVPDs (multichannel video service providers), pure-play OTT providers, content owners, and advertisers reveals that changing patterns in how video is consumed has resulted in significant shifts in their video advertising strategies. 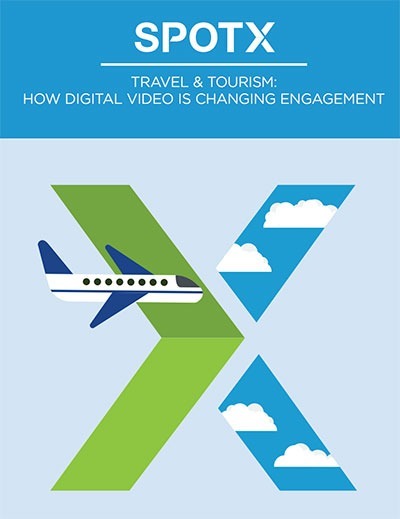 With consumers in charge of their own travel destinies, travel and tourism brands have had to pivot their advertising strategies. 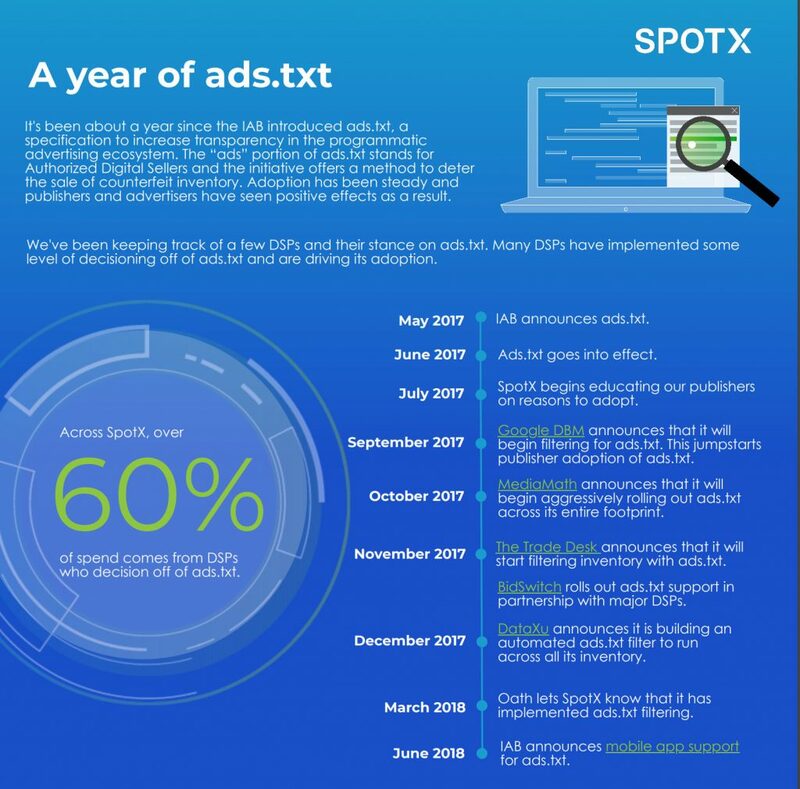 SpotX’s latest white paper takes a look at some of the challenges and opportunities facing U.S. based publishers as they expand their audiences around the globe. 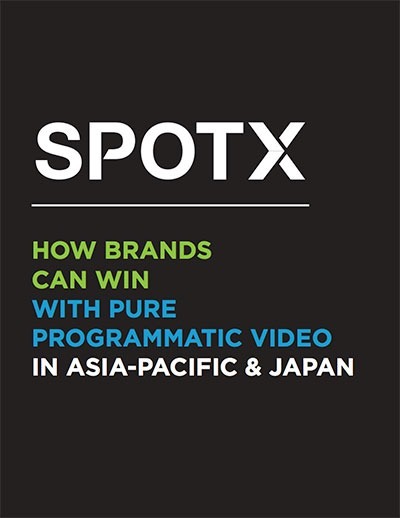 Brand advertisers are realising that video advertising must be part of their marketing mix if they are to effectively reach them across a multitude of platforms. 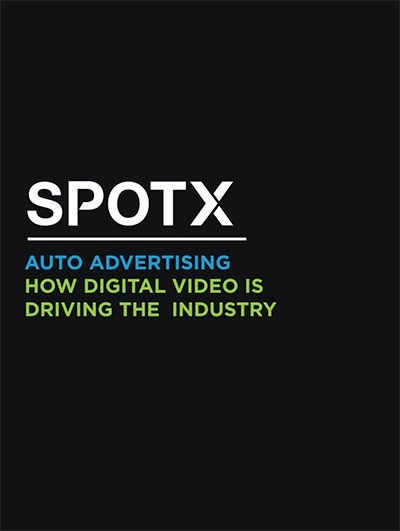 Video has played an integral role in the automotive advertising industry for decades—the combination of sight, sound and motion portrays the allure of a car in a way other forms of advertising can’t quite capture. 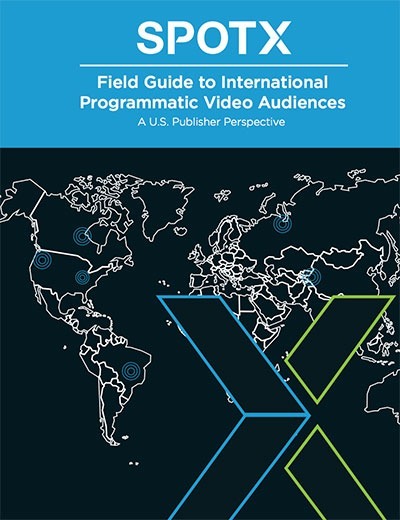 As the many channels become one, media owners have their work cut out for them in creating a business model that can support truly platform-agnostic programmatic video advertising. 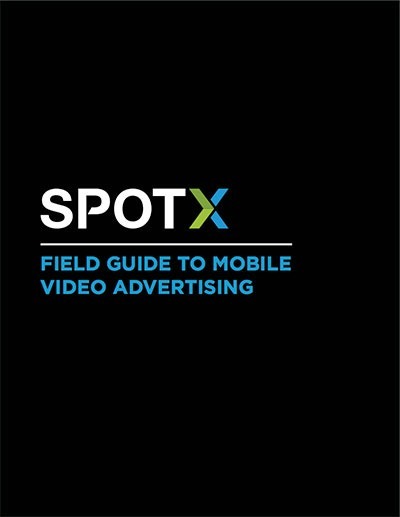 This white paper dives into the mobile advertising landscape — specifically the mobile video advertising landscape — exploring where it stands today and where we see it heading in 2017 and beyond. 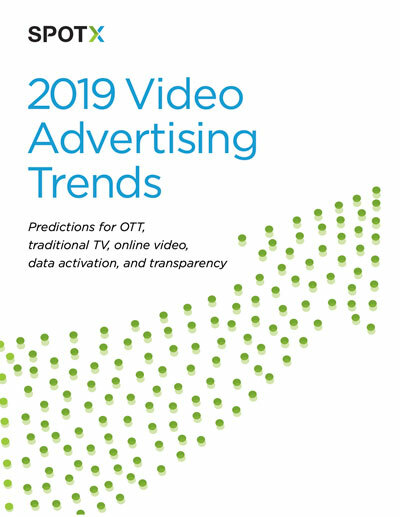 Download the 2019 Video Advertising Trends infographic today to better prepare your organization for this year’s video advertising trends. 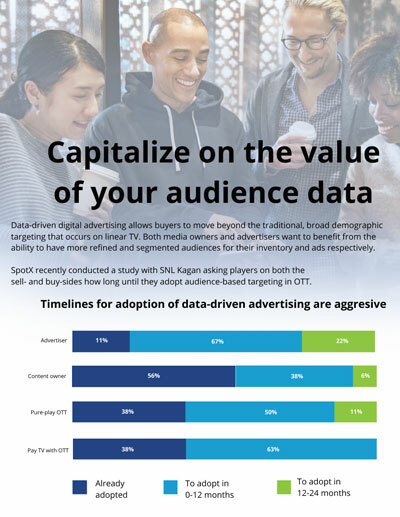 Close to 80 percent of advertisers plan on adopting data-driven targeting in the next year. 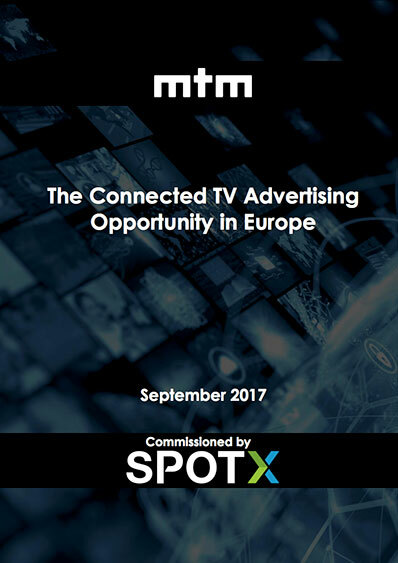 The vast majority of media owners plan to meet those needs in the next year. 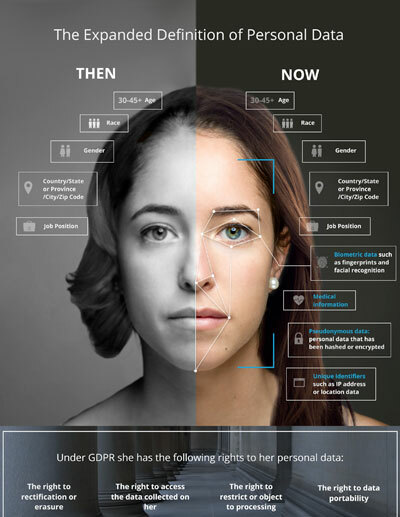 The EU’s General Data Protection Regulation (GDPR), set to go into effect on May 25, 2018, will fundamentality change how companies are legally able to handle personal data. 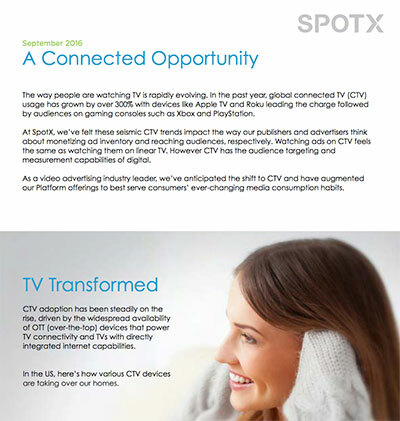 Download our latest infographic to see how CTV is taking over households and the opportunity it presents for both publishers and advertisers. 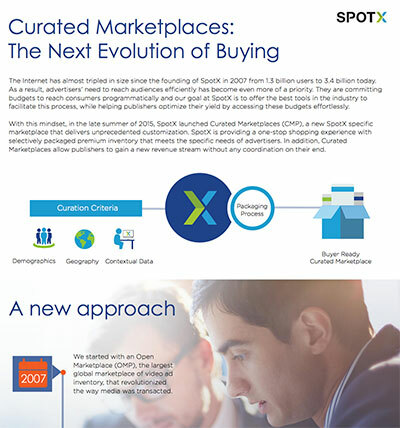 Download our latest infographic to discover the benefits of Curated Marketplaces and understand the value they can add for advertisers and publishers alike. 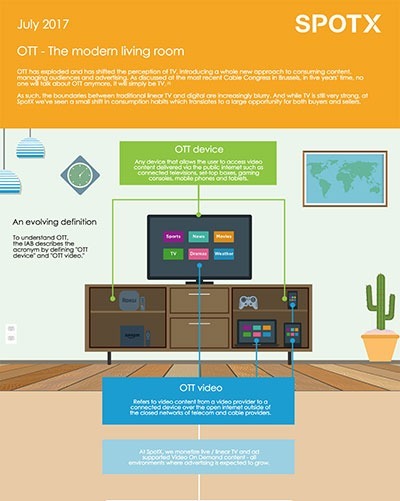 Top buyers and broadcasters across the industry are waking up to the value of OTT. 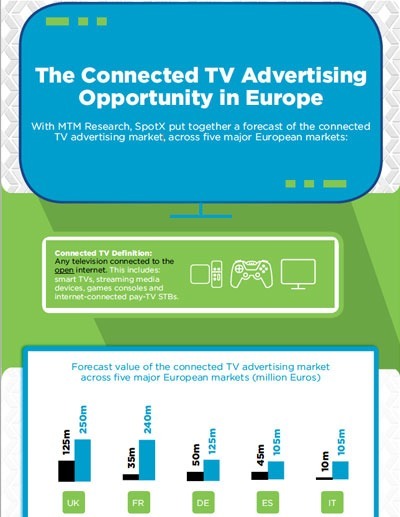 Explore the growing opportunity surrounding over-the-top video on connected TVs, gaming consoles and other connected devices.